I have a small confession to make. I don’t like cake. I know, that makes me crazy or something. Another confession? My husband doesn’t like it either. I guess crazies gravitate together. Even with both of us being cake hating crazies, we have a weakness. This cake. 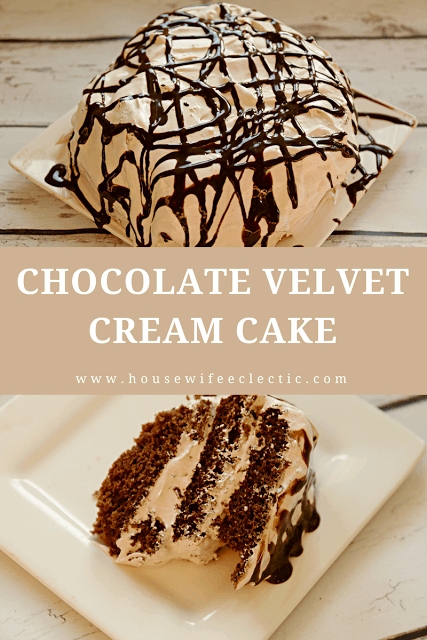 It is delicious and moist and easy to make. It is so easy to make that my husband who is terrified of the oven in general makes me one on my birthday. 3-4 TBSP chocolate powder, like Nesquik or if you want to pretend this cake is healthy, Instant Breakfast. Prepare the German Chocolate cake according to package directions. Separate batter into two round cake pans. Bake both according to package directions. Remove from oven and allow to cool COMPLETELY. I like to make it the night before. Patience really pays off here. Cut each round in half long ways. Forming four rounds. In a large bowl combine the Cool Whip with the chocolate and malt powders. Mix well until it becomes a light brown color. 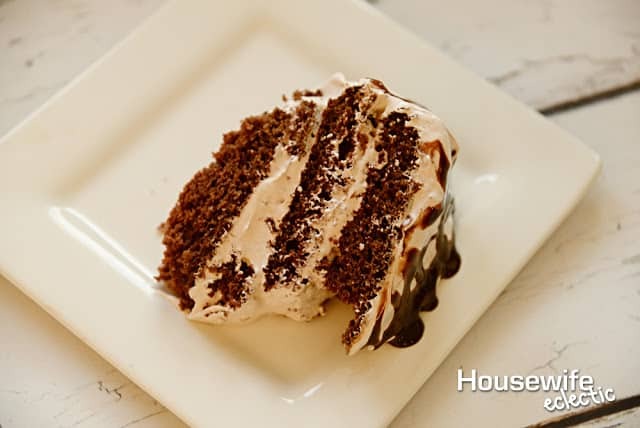 Place the first cake layer on a large plate. Slather with a layer of the frosting mixture. Add the next layer and repeat the process for the rest of the layers. When all layers have been added use the rest of the frosting mixture to cover the top and sides of the cake. 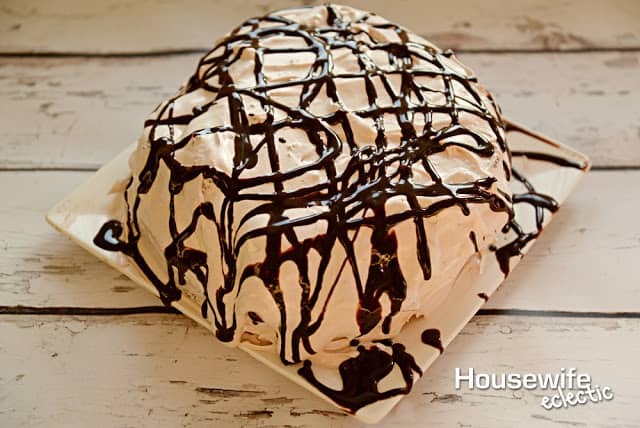 Drizzle chocolate syrup over the cake and then chill for 1-2 hours before serving.